Curtis Bollinger was wanted on a charge of DUI manslaughter in the death of his 29-year-old wife, Shannon Bollinger. 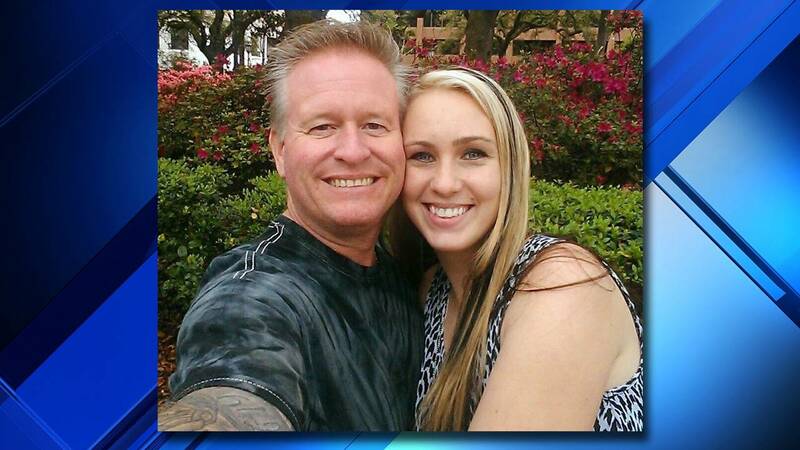 CALLAHAN, Fla. - A 48-year-old Navy veteran and retired Nassau County Fire-Rescue lieutenant wanted on a DUI manslaughter warrant connected to the death of his wife was found dead Tuesday afternoon, the Nassau County Sheriff's Office said. The Florida Highway Patrol issued an arrest warrant last week for Curtis Bollinger, and he retired from the Nassau County Fire Department two days later. The Nassau County Sheriff's Office hadn't been able to locate him but got a call that his car had been seen at a cemetery at Live Oak Baptist Church in Callahan. When deputies responded about 12:30 p.m. Tuesday, they found Bollinger dead inside the car from an apparent self-inflicted gunshot wound. Bollinger and his wife, 29-year-old Shannon Bollinger, were in a motorcycle crash at 1 a.m. April 15 on State Road 200 in Callahan. Curtis Bollinger drove into the median and his Harley Davidson overturned. Both were thrown from the bike. Shannon Bollinger landed in the roadway and was killed when she was hit by another car. The FHP report says Curtis Bollinger's blood alcohol level was 0.2 percent. Anything over 0.08 percent is considered illegal. Bollinger's friends said the April crash was not his first. He almost died in December 2016 after a crash on U.S. 17 at Pages Dairy Road. Bollinger had two children of his own and was stepfather to Shannon's five children. News4Jax was told Shannon Bollinger’s five children are staying with their fathers and Shannon's parents.